You can read the information in the mindmap as a list below (but remember our brains are not good at lists and it is much easier to look at the mindmap). The list is in no particular order. I would be very interested in other peoples embryological insights that inform their practice. I like the images and work of Blechschmidt, his descriptions of how the embryo forms are very powerful. The ‘spatially ordered metabolic fields’ is a much richer and more complex model than hinted at in my mindmap. I have enjoyed my limited reading of the writing of Jaap van der Wal (especially the idea of the embryo making ‘gestures’), but I am hesitant to accept where the anthropological model leads. The Rohen passages quoted in Torsten Liem’s book have never quite made sense to me, certainly not in a way that informs what I feel when I treat people. I look forward to some comments. Quality of field at conception (for example drunk or aggressive or love). Stress and toxicity affect development. How it supports practice: The whole system may still resonate with experiences present in the field as the individual form was created. Three cavities: chorionic, yolksac, amniotic. How it supports practice: Can orient to a bigger space around the body and root that perception in the knowledge that our bodies grew surrounded by tissues with our own genome. Relationships in space determine development. The embryo as a fluid membranous whole. Blechschmidt accounts for the morphology of the growing embryo using spatially ordered metabolic fields. How it supports practice: In biodynamic practice the body is commonly experienced as a dynamic fluid whole. We can get a felt sense of the body as amoeba, expanding and contacting in response to experience with an internal fluid information exchange. A surging, streaming, bag of protoplasm. Surges of potency at different stages of development (plus sparking up of three centres at birth). Laying down of the neural tube. Ignition in the third ventricle in the neural cavity, the heart in the thoracic cavity and the umbilicus in the abdominal cavity. How it supports practice: Orienting to potency spreading from the three major ignition centres into their surrounding cavities is an extremely powerful orientation. Often one of the ignition centres feels relatively dampened down. Ignition can be seen as the emergence of coherence and order. Retain coherent identity in the adult. Neural crest cells as fourth germ layer. How it supports practice: Structures that grew together can be treated together. Appreciating the mesoderm roots of all connective tissues helps understand and percieve the unified felt sense of fascia and membranes, for example. Primitive streak and the notochord. The end of the notochord as a still organising centre for the midline and all generation of form. Somites form in relationship to the midline. Structures that grew from and around the somites (myotomes, bones, dermatomes, nerves) maintain a segment identity with the nucleus pulposus as the natural fulcrum. How it supports practice: The midline is the natural fulcrum for the generation of all form. The continuity and clarity of the midline dynamics is a key indicator of health. Any structure coming back into relationship to the midline is a clear sign of a shift towards health. The practitioners own midline is a powerful orientation as the practitioner attempts to stay present. 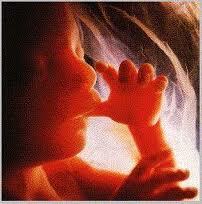 Curling forward of the whole embryo is lead by the neural tube. Growing brain imprints on the cranial base and stretches the vault bones. Curling and uncurling of the neural tube is oriented to the lamina terminalis. The shape of the ventricles arises from the morphology of the neural tube. How it supports practice: The felt sense of a fluid filled tube is a central experience in orienting to the nervous system. The movements and coherent identities of the cranial bones and reciprocal tension membranes only make sense if understood from an embryological perspective. The umbilicus as a fulcrum for relationship. How it supports practice: The umbilicus is a still organising centre for the whole person. It holds defining dynamics around being in relationship. The folding of the organs in mesentery. Gut as a tube with organs that bud off the tube. Anticlockwise rotation of the small and large intestines. Rolling up and to the right of the liver. The combined translocation of the liver and stomach. How it supports practice: Mobility of the organs is much clearer to palplate and can be understood more easily if the growth movements during embryology are included in the perceptual process. The formation of the face. Expression and the social nervous system described by Porges. How it supports practice: Orienting to the branchial arches reveals the underlying dynamics of the formation of the facial complex and the throat. It explains the usefulness of working with the whole package of nerves, muscles and tissues that grew from the branchial arches. Very helpful in downregulating overwhelm responses, supporting the vagal brake and working with cranial nerves. Thanks – that’s very useful. I believe 1) and am trying to work on this in my own case. But do you know of any evidence for it other than personal experience? Sills F. (2009) Being and Becoming – Psychodynamics, Buddhism, and the Origins of Selfhood. North Atlantic Books. Terry K. (2009) Working at the level of the soul. http://www.karltonterry.com/index.php/page/181. accessed Oct 2009. Thanks so much for taking the time to gather and communicate this information. As far as ‘working on my self’ goes, I take the line that whatever seems to be happening is happening. But I’m also curious about objective reality and in particular the mechanisms by which the parents’ experience is passed on to the children. Love your list and am glad to hear about another embryology book. Another way that embryology informs my practice is through the specific cranial bones. Keeping in mind their developmental history gives me a far greater appreciation for how their current structure has unfolded over the years and how best to support them.